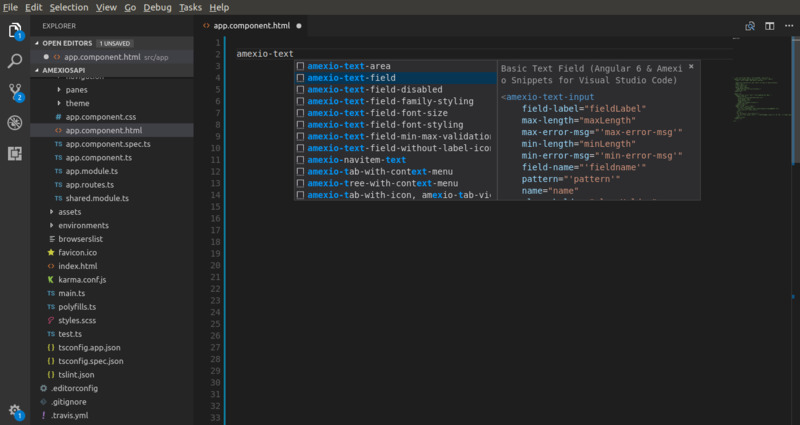 Visual Studio Code>Snippets>Angular 6 & Amexio Snippets for Visual Studio CodeNew to Visual Studio Code? Get it now. Angular 4/5/6 (HTML, TypeScripts, Amexio) Code Snippets. 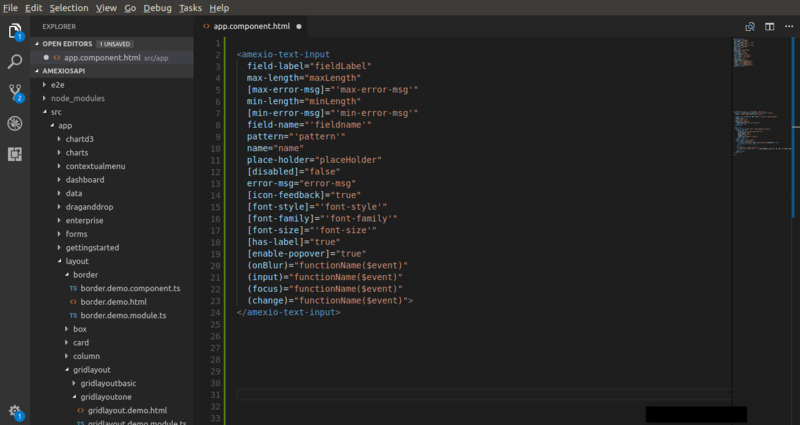 This Amexio Plugin will help the Angular developers using Visual Studio Code with a quick code snippet for the Angular and Amexio Directives as well as Angular TypeScript. Plugin support is available for Angular 6+ onwards.